Each New Year brings planning, resolutions, holiday bills and BC tax assessments. 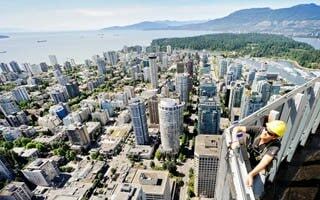 As Vancitybuzz reports, this year’s tax assessment values were quite surprising with a whopping $90 billion increase in value of properties in the greater Vancouver area. East Vancouver homes were amongst the biggest earners in property value as homeowners experienced a growth rate of about 28%. In addition, neighborhoods stretching from Coquitlam to Squamish saw values grow by over 20%. From these latest statistics, British Columbia seems to be a strong market overall with the total number of homes on the BC Assessment reaching a value of $1.34 trillion, an overall increase of about 11% from this time last year. As a reference for you, we have included a table that shows the increases in property values by area (see below). With property values going up, you should have more equity in your home and that may make it a good time to reach out to your friends at Alpine Credits if you are in need of additional funds to consolidate some debts, pay off any outstanding taxes or start (or complete) some home renovations. Please feel free to call us at 1-800-587-2161 and one of our lending specialists will be glad to discuss all of the loan options that may be available to you. Remember, at Alpine Credits homeowners get APPROVED! Article from Vancitybuzz by Jill Slattery.